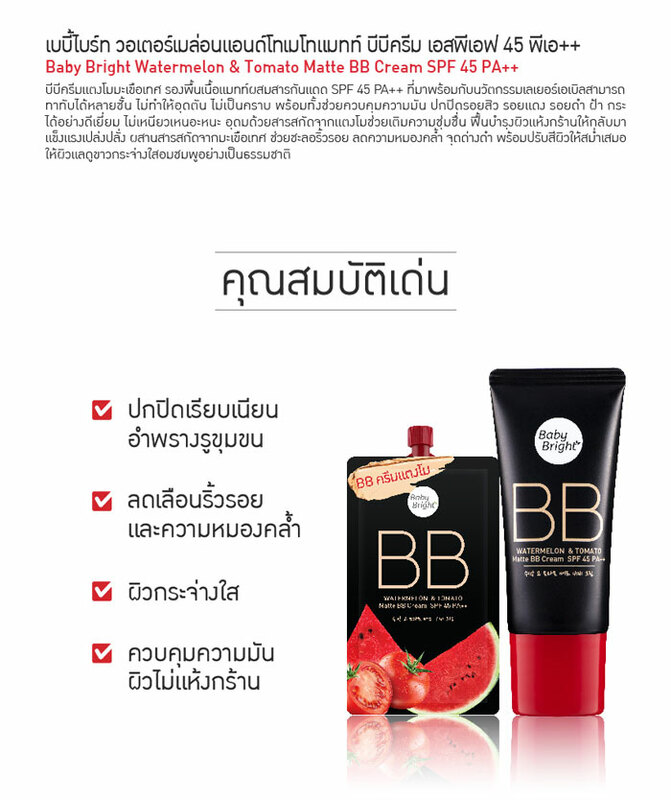 BB cream, watermelon, tomato Matte Sunblock SPF 45 PA ++ with innovative layer Able can be applied over several layers. It does not clog pores and help control it, conceal acne, redness, freckles and freckles. 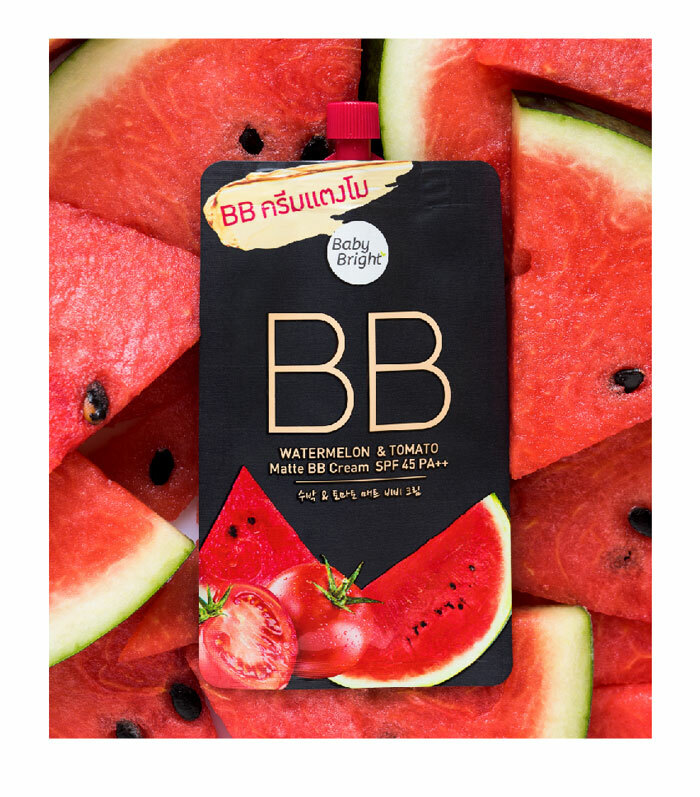 Not stickyRich in watermelon extract to help moisturize. 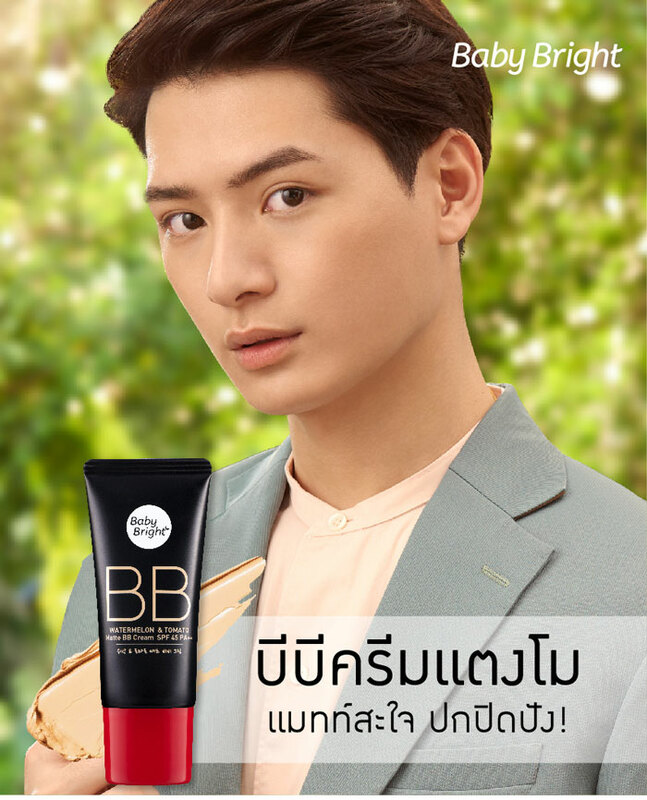 Revitalizes dry skin to return to shine. 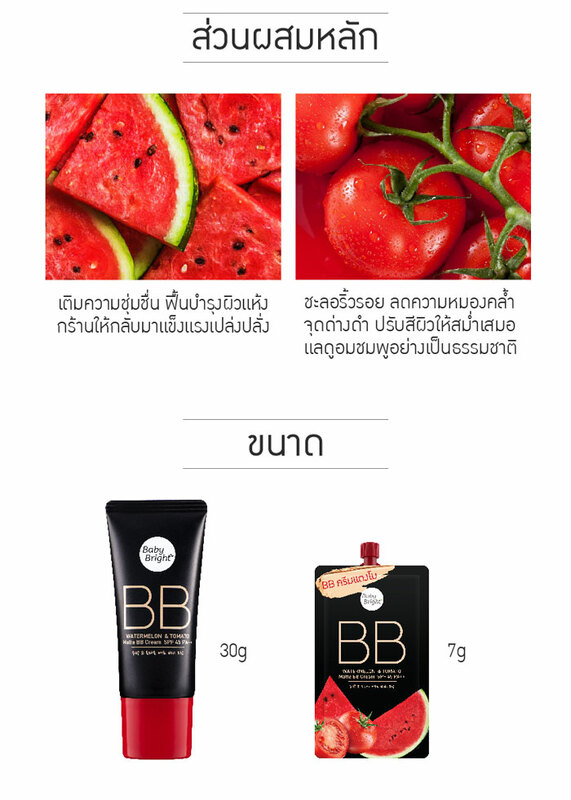 Merely extract the tomatoes.Helps to slow down wrinkles. 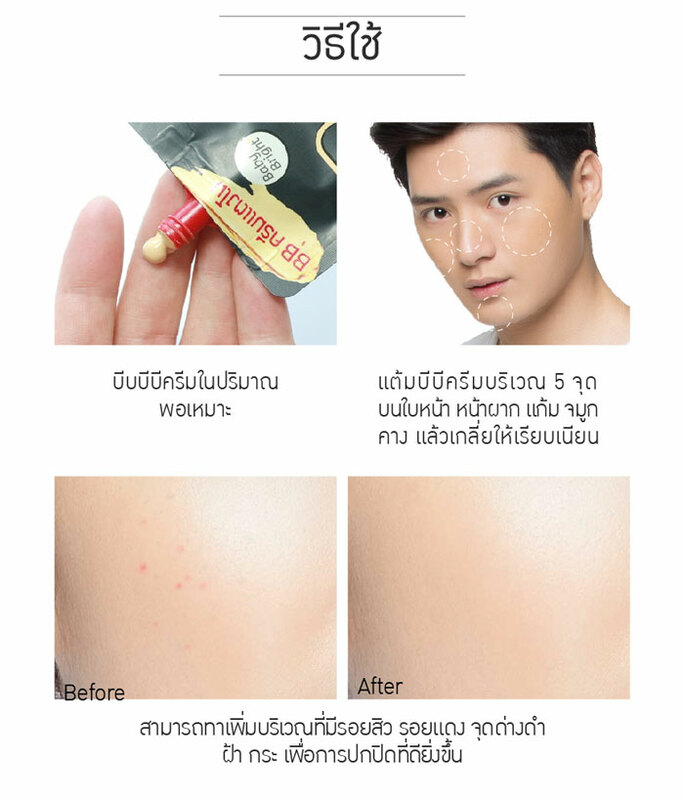 Reduces dullness, dark spots and smoothes out skin tone.